The elegant shape of this product allows it to be used in different ways and to blend in with different kinds of furnishing. We pick and choose materials very carefully and this guarantees our clients are provided with eco friendly products.  Taps are tested one by one and follow strict quality standards, and this allows us to provide a 5 year guarantee on all Design by Water products.